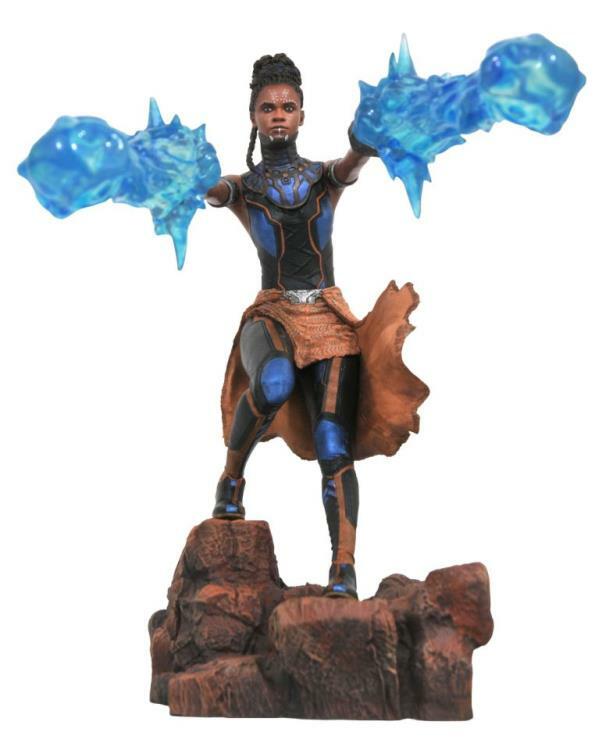 The most brilliant mind in Wakanda is T'Challa's sister Shuri, and she not only designs amazing weapons, she wields them! 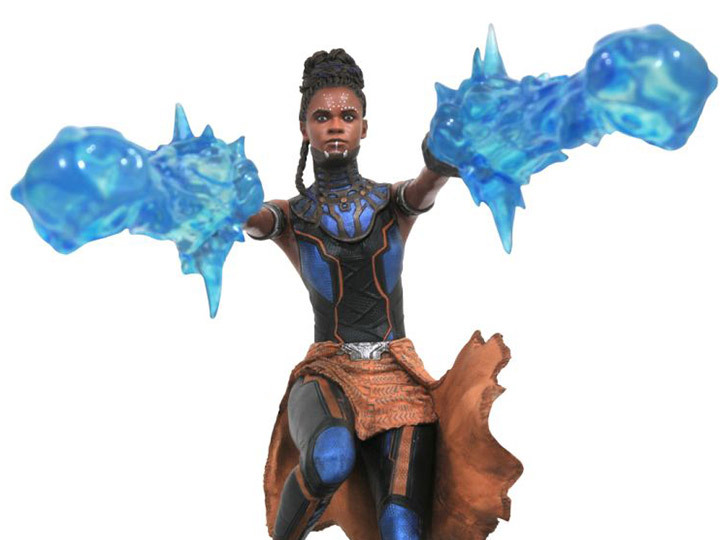 In this PVC Diorama, Shuri takes aim with her twin Vibranium gauntlets, firing blasts of sonic energy. 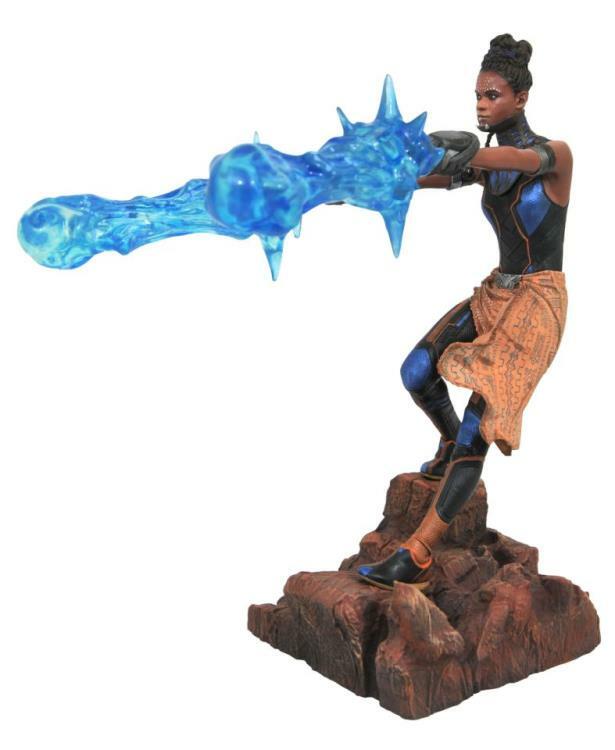 Measuring approximately 9 inches tall, this statue features detailed sculpting by Rocco Tartamella based on a design by Nelson Asencio, and includes the character's real movie likeness. 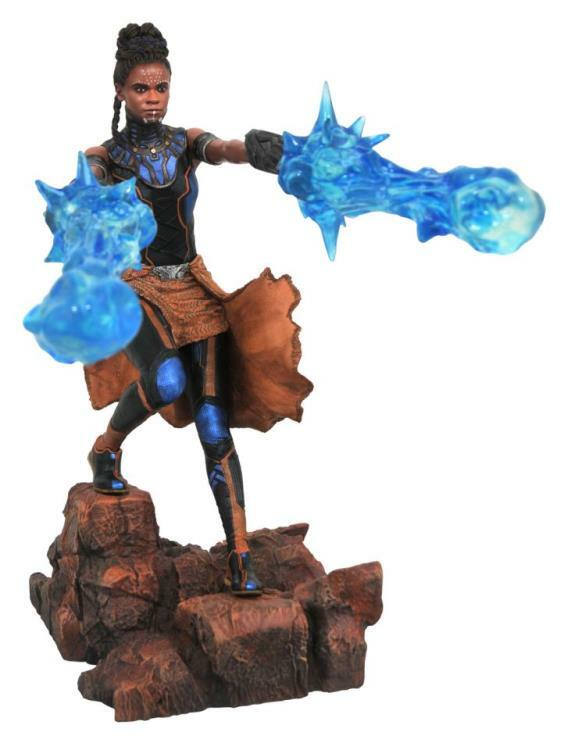 Shuri comes packaged in a full-color window box.